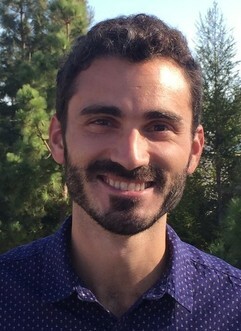 Dr. Meserko joined the department in 2016. His areas of expertise are media criticism, rhetorical criticism, new communications technologies, and sound studies. His research investigates the concept of “authenticity” as it plays out in contemporary popular culture, especially American popular music. His dissertation research focused on the racial politics of contemporary soul music and its relationship to disputes over authenticity and nostalgia. In June 2017 Dr. Meserko was awarded a research fellowship through the Rock n’ Roll Hall of Fame Museum and Library. His work has appeared in the Western Journal of Communication, Journal of Broadcasting and Electronic Media, and Continuum: Journal of Media & Cultural Studies. He was also the recipient of the Kim Giffin Research Award and the William Conboy Most Outstanding Graduate Student Award at the University of Kansas. His teaching emphasizes civic literacy and current events, and he was recently awarded the Cal Poly Communication Studies Outstanding Educator Award for the basic course. In addition to his academic research and teaching, Dr. Meserko hosted two award-winning radio programs at the University of Kansas that focused on traditional American country, folk, blues, and soul music. He is an avid concert-goer and marginally talented drummer.